Privacy and luxury are standard in each of our four spacious bedroom suites. Each is air-conditioned with ceiling fans. Featuring deep and comfortable bed, sitting area, bath ensuite (most with Jacuzzi tubs and romantic fireplaces), all rooms offer wireless internet. Large windows in each of the second floor rooms provide a view of the grounds which offer brightness and comfort to your stay. Other amenities include, complimentary bottled water, soft cozy personal robes, candles, bath salts, flatscreen T.V. with cable service and DVD Player. Check in after 2 p.m. Check out time - 11 a.m. Smoke free accommodations. Rooms starting at $119 per night. 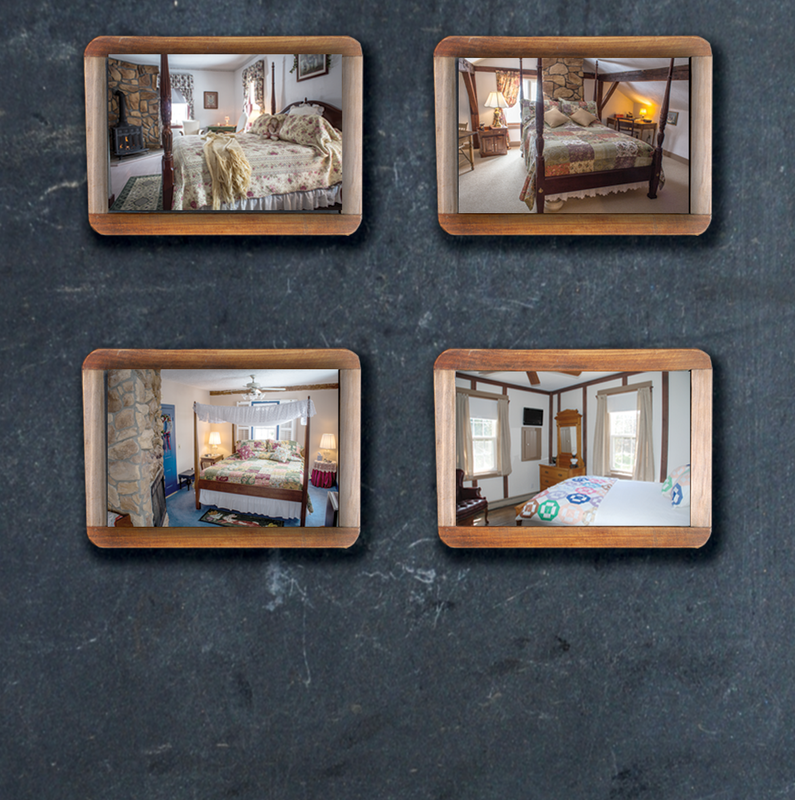 Innkeepers Joe and Gayle Potelicki are accepting reservations for your next getaway.